The Council of Orthodox Christian Churches (COCC) of Metro-Detroit, Michigan, continued its long-standing tradition of holding joint Lenten Vespers on Sunday evenings at various metro-Detroit churches on each of the five Sundays of Great Lent, 2010, with the COCC Pan-Orthodox Choir (above, center) singing the responses, under the direction of Matushka Vickie Kopistiansky (above, left) of Holy Trinity (OCA) Church, Detroit. 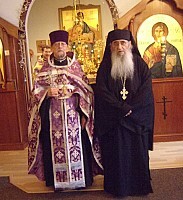 As the President of the St. John Chrysostom Clergy Brotherhood, the Very Reverend Archpriest Roman Star (above, right), Pastor of St. Innocent (Moscow Patriarchate) Church in Redford and Dean of the Central States Deanery, presided at each service. After each service a reception was held in the church hall. 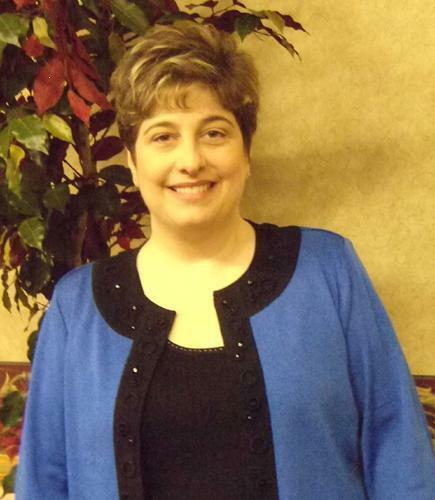 The time and effort involved in providing the reception at each host parish was greatly appreciated. 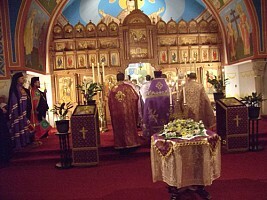 On February 21, 2010, the First Sunday of Great Lent, the Sunday of the Triumph of Orthodoxy, the COCC Pan-Orthodox celebration was held at St. Mary’s (Antiochian) Orthodox Church in Livonia, where V. Rev. Archpriest George Shaloub is the Pastor. Twenty-three priests participated in the Vespers service and the procession with icons around the interior of the church, and about 300 faithful were present. Archimandrite Joseph (Morris), Abbot of St. Gregory Palamas (Greek) Monastery in Hayesville, Ohio, was the guest speaker/homilist. Also present were Archimandrite Roman (Braga), Abbess Mother Gabriella and six other nuns from Holy Dormition Monastery in Rives Junction, MI. After the beautiful service a reception was held in St. Mary's large hall. On February 28th, the Second Sunday of Great Lent, St. Gregory Palamas Sunday, the COCC Pan-Orthodox Lenten Vespers was held at St. Stephen Dechani (Serbian) Orthodox Church in Warren, where V. Rev. Archpriest Zivko Kajevic is the Pastor. Eleven priests and one bishop concelebrated, and about 180 faithful were present. This was the second time that this parish hosted a COCC Lenten Vespers (the first time was in 2007, also on St. Gregory Palamas Sunday), and those in attendance were blessed that for the second time, their hierarch, His Grace, Bishop Longin, came from Chicago to be present. Fr. Radomir Obsenica, of St. Lazarus Ravanica (Serbian) Church in Detroit was the guest speaker/homilist. An extra special note of appreciation is extended by the COCC to the parish, which, for again the second time, served a marvelous large and delicious multi-course, sit-down Lenten dinner in their hall after the service. On March 7th, the Third Sunday of Great Lent, Veneration of the Cross Sunday, the Pan-Orthodox Lenten Vespers was held at St. George (Romanian OCA) Cathedral in Southfield, where V. Rev. Archpriest Laurence Lazar is the Dean and Pastor. Seventeen priests concelebrated, and about 225 faithful were present. This week, we were blessed to have three bishops present: (1) the host bishop in his own cathedral, the Head of the Romanian (OCA) Episcopate, His Eminence Archbishop Nathaniel of Detroit, plus (2) his Auxiliary, His Grace Bishop Irineu of Dearborn Heights; and (3) the guest speaker/homilist, His Grace Bishop Mark of the Antiochian Diocese of Toledo, Ohio. Again, after the service a reception was held in their excellent banquet hall. 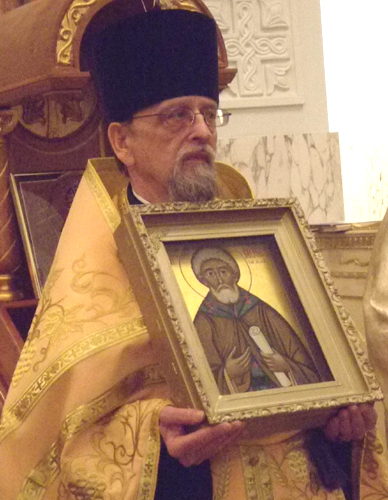 On March 14th, the Fourth Sunday of Great Lent, St. John Climacus (of the Ladder) Sunday, the Pan-Orthodox Lenten Vespers was held at Saints Peter and Paul (Romanian OCA) Church in Dearborn Heights, where V. Rev. Archpriest Romey Rosco is Pastor. Twelve priests concelebrated, and about 175 faithful were present. This week, we were blessed to have present His Grace Bishop Irineu of Dearborn Heights, Auxiliary Bishop of the Romanian (OCA) Episcopate, hosting the service in his own cathedral. The guest speaker/homilist was Archpriest James Jorgenson, Pastor of St. Paul (Bulgarian OCA) Church in Dearborn Heights. In addition, a special guest was present — Fr. Jon Behr, Dean of St. Vladimir’s Orthodox Seminary in Crestwood, NY, who spoke about the work of the seminary during the reception in the church hall after the service. 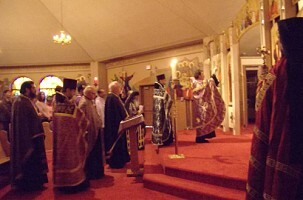 On March 21st, the Fifth Sunday of Great Lent, St. Mary of Egypt Sunday, the fifth and final Pan-Orthodox Lenten Vespers of 2010 was held at Holy Ghost (Bulgarian Patriarchate) Church in Sterling Heights, where V. Rev. Igumen Gregory (Valentine) is the Pastor. Ten priests concelebrated, and about 175 faithful were present. It was the first time that Holy Ghost Church hosted a COCC Lenten Vespers. The guest speaker/homilist this final week was V. Rev. Archpriest Andrew Yavornitsky, Pastor of St. Mark (OCA) Church in Rochester, and Dean of the OCA Michigan Deanery. Again, a special guest was present — Riasaphore Monk Father Michael (Phillips) from St. Theodore Monastic House (Greek), located between Akron and Columbus, Ohio, who spoke during the reception in the church hall after the service about the importance of monasticism in the Orthodox Church, and especially the need to expand monasticism in America today.